Rotork is a market-leading solution provider for the actuation, flow control and industrial markets. Our products and solutions are used in the essential infrastructure for the global economy and it is critical that any workforce is highly trained to ensure a safe and efficient plant. Rotork has been providing customer product training for over 60 years and continues to offer bespoke training from our strategically located facilities around the world. After attending a Rotork training course a student will understand all aspects of electric or fluid powered actuator installation, commissioning, maintenance and repair. As the recognised global market leader of valve actuators and control applications, Rotork has specialist training facilities in various locations around the world including the UK, the USA, Italy, Mexico, India and Singapore. Training courses can also be conducted on site in a suitable location. 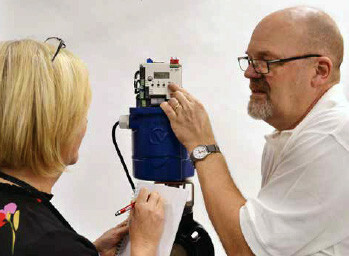 For further information and typical course details, please download the Product Training Brochure.